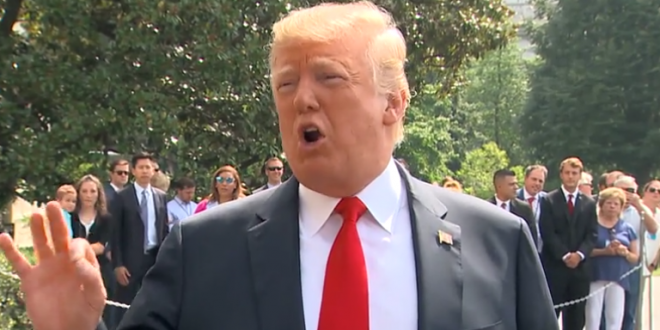 Trump Vows To Strip Security Clearance Of Current DOJ Official Bruce Ohr Over Ties To Mueller Probe [VIDEO] - Joe.My.God. President Trump said Friday that he plans “very quickly” to strip the security clearance of Bruce Ohr, a Justice Department official he said is “a disgrace” who is tied to special counsel Robert S. Mueller III’s investigation into Russian interference in the 2016 presidential election. Trump has repeatedly targeted Ohr as a source for Mueller and his investigation. Ohr’s connection to the matter was as an early contact in 2016 for Christopher Steele, the former British intelligence agent who investigated Trump’s ties to Russia.